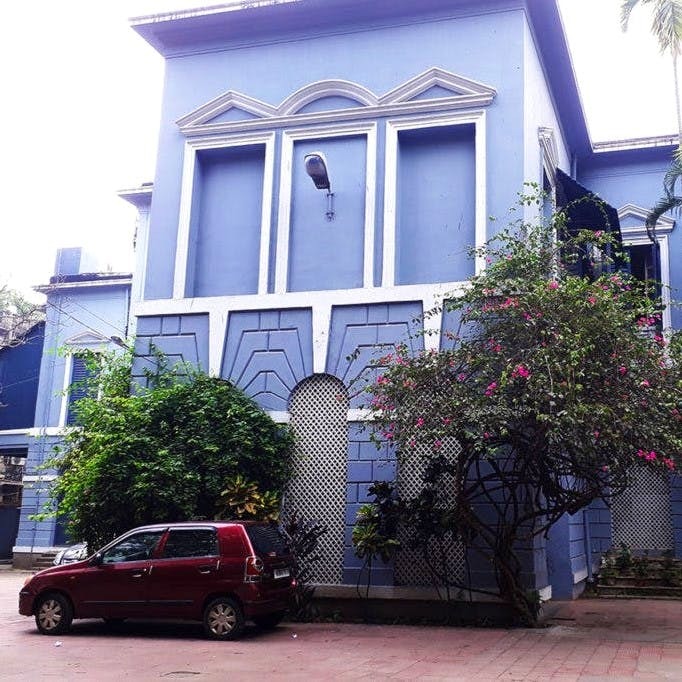 The unassuming blue-grey building on Theatre Road is the birth place of Sri Aurobindo. It also stocks a range of in-house organic products made in their ashram. Standing on the ever-busy Shakespeare Sarani, the elegant Aurobindo Bhavan building is often overlooked due to the trees in front and because it is thrown back from the main road. Most people don’t know that tucked away inside are two stores where they sell all kinds of products, some brought all the way from Pondicherry. The entrance has this big, old tree and there are plenty of plants all around. The shops are on the left of the main building. The first one is a small store that stocks essential products, specially brought from their ashram factory in Pondicherry. Here you can stock up your kitchen and larder with their range of organic honey, jams (orange marmalade, apple and more), ghee, various flavours of the Bengal bori, varieties of rice, dal, spices, papads, pickles, and Bengal’s signature mustard - the kasundi. The products start from INR 20. They have a huge variety of incense you’ll not find in the markets and handmade soaps, pot pourri, scented candles, and perfumed sachets. If you have sensitive skin like I do and prefer organic products, then this is the place for you — they have an amazing range of bodycare products like herbal shampoos, handmade soaps, cleansers, moisturisers, masks, aloe vera gel, facial kits, foot creams, and essential oils. They also had a few herbal medicinal products like gum care ointments. In the year 1972, the place was declared as a memorial by the government of West Bengal and, has the sacred relics of Sri Aurobindo enshrined inside. If you have been looking for music and dance classes, they have an academy where these are held. Just beside this small store, there’s another book shop which has stacks of books in Bengali, English and Hindi, all either written by Aurobindo himself or by renowned writers like Amalesh Bhattacharya, Mrinalini Debi and others.